Lowdown: A female FBI agent and a female cop make for an effective counter crime offensive. We’ve seen this type of film before. A film where the main deliverable is the main actors performing improv style comedy, usually of a type that involves doing silly things or saying stupid things. We’ve seen this type of film before. A film that takes one law enforcer with strong character and pairs them with another law enforcer of incompatible strong character and then celebrates the combination. Lethal Weapon alone strangled the formula up to its death in four different movies. So, if we’ve seen this movie before, and many a time so, then what does The Heat have to offer us on top? Two things: first, it has women in its starring roles; not something to be trifled with in Hollywood’s conservative environment, where Bridesmaids was celebrated as a revolutionary movie. And second, it ushers Sandra Bullock into the nonsense improv genre. Bullock plays an FBI agent good at her job but awful at human interaction. Contrasting her is a Melissa McCarthy playing a Boston policewoman who is good at her job but awful at human interaction, albeit in a totally different manner. One thing leads to another and the two pair up to stop a major drug thing. That is pretty much it with the plot. Certainly no fireworks there. 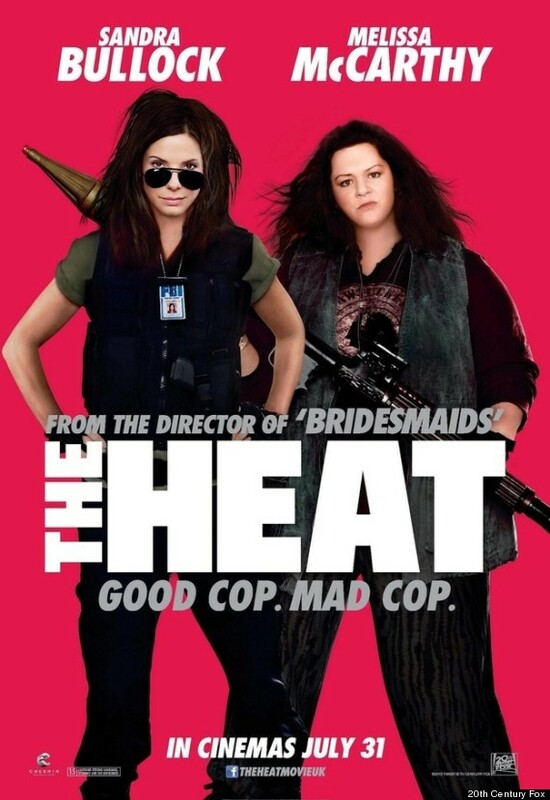 The remaining question is whether The Heat’s contribution to the art of cinema, its focus on female improv and its Sandra Bullock, are good enough to sustain the movie? The simple answer is no; the longer answer is with its rather tedious, over long, predictable and let’s face it – not so funny affairs – The Heat is pretty good at one thing. Wasting its viewers time. Overall: Good to see females taking centre stage, but it would even be better to see them taking centre stage in a good movie instead. 2 out of 5 stale crabs.